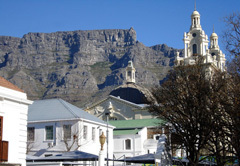 With its majestic Table Mountain backdrop, Cape Town is one of the most beautiful cities in the world. The city of Cape Town, watched over by the majestic Table Mountain is South Africa’s oldest town and one of South Africa’s jewels. 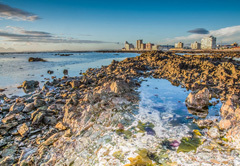 With its melting pot of cultures, rich historical and cultural heritage and the pristine white beaches that sweep along its coastline, the Western Cape has much to offer anyone visiting the city. In Cape Town itself, there is juxtaposition of old and new, with major shopping centers, such as the Canal Walk Mall, sandwiched tightly with historical landmarks such as the Castle of Good Hope, the fort built by Jan Riebeeck on establishing a supply station at the Cape. Did you know? 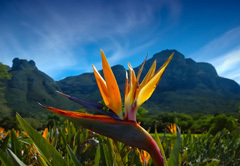 Once you've booked your hotel or accommodation in Cape Town, explore the destination pages below for info on attractions, activities and things to do when you visit Cape Town, one of the most beautiful cities in the World. 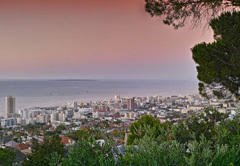 The city is vibrant and cosmopolitan offering excellent Cape Town hotels, restaurants and nightlife and and has long been a hotspot for film and modeling shoots. 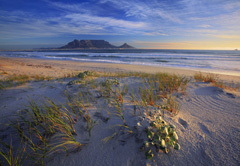 For beachlovers, Camps Bay, Clifton and many others offer the perfect opportunity to soak up the sun. 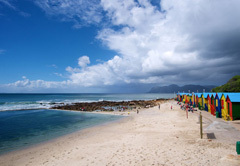 For surfers, there are ample surfspots, from Long Beach to Kogel Baai, near Gordon’s Bay at the foot of the Helderberg Mountains. A harmonious blend of architectural styles reflects the tastes of dictates of the past as well as today's more functional requirements. 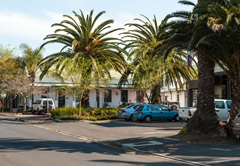 Between the high-rise office blocks, Edwardian and Victorian buildings have been meticulously preserved, and many outstanding examples of Cape Dutch architecture are found. Narrow, cobble stone streets and the strongly Islamic ambiance of the Bo-Kaap enhance the cosmopolitan ambiance of the city. Cape Town shopping options invite you to endlessly browse. Elegant malls such as the Victoria Wharf at the V&A Waterfront, antique shops, craft markets, flea markets and art galleries abound. Specialist boutiques offer an enticing array of unusual items not readily obtainable elsewhere. Did you know? Cape Town is the only city in the world to lie on two oceans - On one side of the peninsula lies the Atlantic; on the other the Indian Ocean. Gourmets and lovers of fine wines have a treat in store, with the Constantia Winelands producing some of the finest wines worldwide. 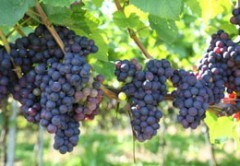 Slightly further afield are the many South African Wine Estates that offer historic, unrivalled natural beauty and some of the best wine tasting in the world. 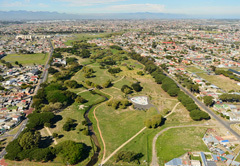 The area is criss-crossed with wine routes, with the Durbanville Hills route a mere twenty minute drive from Cape Town. 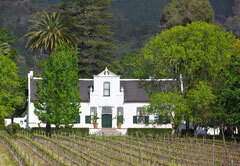 Continuing further one finds the renowned wine-producing areas of Paarl, Franschhoek, and Stellenbosch. 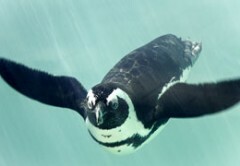 (See Cape Winelands attractions).